Every year, right before the start of the new NBA season, brands release their team lines. While signature sneakers are usually packed with the latest tech, I sometimes prefer the team editions to signature sneakers. Signatures are made to fit the specifications and style of the player attached to the sneaker. But team models are made to fit a wider market and as such, are made to be more balanced than signatures. 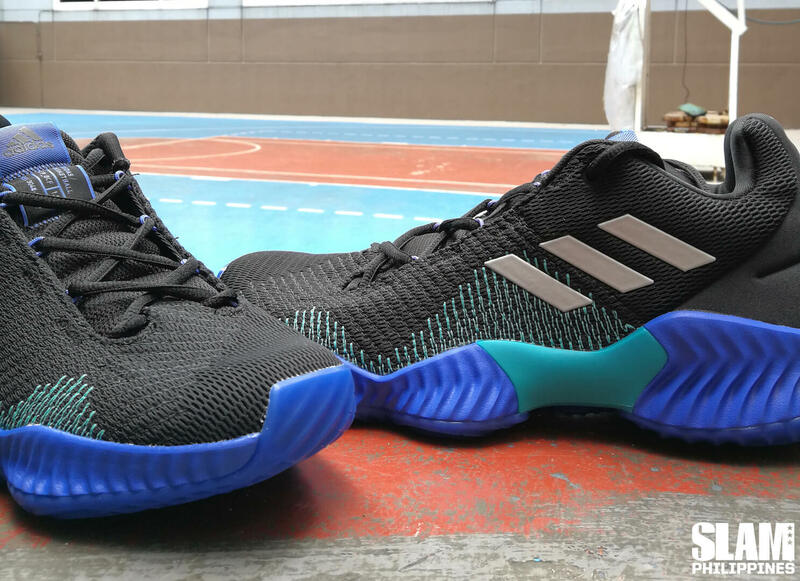 This year, adidas introduced the Pro Bounce series as their newest team sneaker. 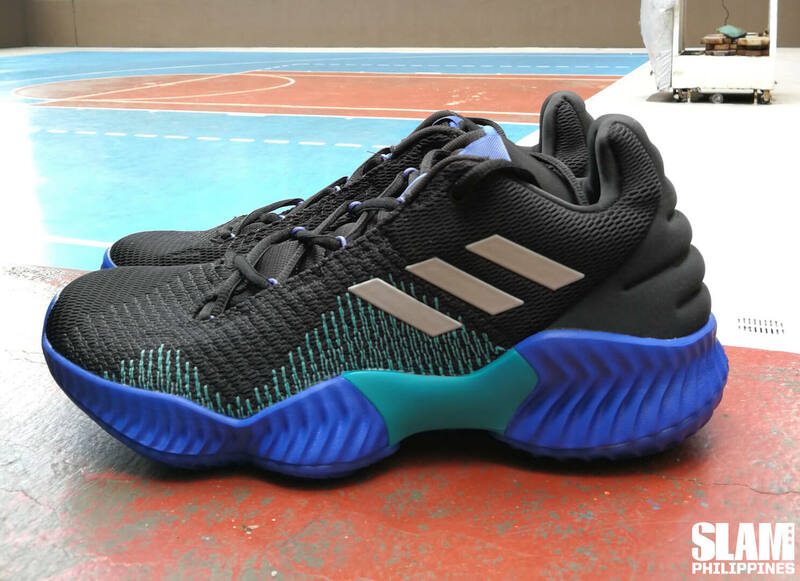 It was rumored that the Pro Bounce was going to replace the Crazy Explosive line moving forward. I’m a huge fan of the Crazy Explosive series. I got the chance to play in the 2016 Crazy Explosive Low and I’ve been using the 2017 Primeknit version for more than a year. Boost is life. But Bounce is damn quick. Bounce doesn’t compress as much as Boost. So, while it may not be as plush and luxurious as the premium cushioning of adidas, it offers a quicker bounce back. On foot, Bounce isn’t going to be as comfortable as Boost. But this cushioning was made for players who prefer a quick response and court feel. The response of the cushioning to my movements on the court was faster. There was virtually no delay from the compression of the cushion so it allowed me to make my movements quicker. I really felt the quickness of the cushioning when I made my moves to the basket. I could plant my foot and then immediately make my next move in an instant. I may not be as quick as before. But the cushioning set up on the Pro Bounce helped me to move quicker than I normally do. 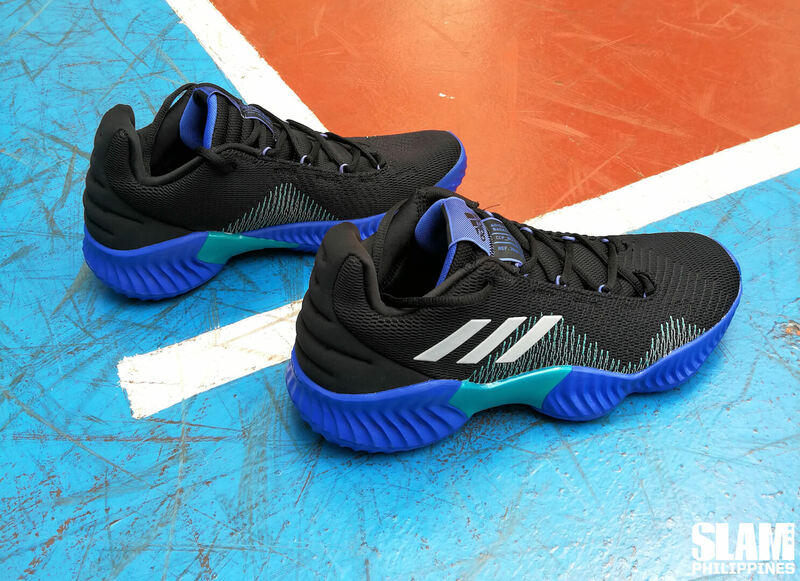 adidas is tagging the Pro Bounce as the #NextWave. Their campaign is perfect because the look of the sneaker takes inspiration from the different wave design elements. But it’s more than just design. The wave elements in the Pro Bounce is also helpful to the performance. The light blue stitching on the pair I got looks like a sound wave, rising and falling. This stitching not only adds a notable design element. It also adds to the support of the sneaker. The thread used by adidas for that stitching is FORGEFIBR, a TPU-coated yarn designed to add support to sneakers. For the Pro Bounce, they use FORGEFIBER stitching on the lateral side of the sneaker, in upward, diagonal angles. This helps keep everything in place especially when making hard cuts on the court. My foot stayed in place whenever I pushed off on that side of the shoe. The outsole is a new design. It’s made up of big, overlapping circles, similar to ripples in the water. These circles extend outward providing a wide outrigger for the Pro Bounce. That also helped prevent any slipping or instability when making side-to-side movements. The rubber used in the outsole is also very tough, making the Pro Bounce ideal for outdoor hooping. On of the reasons I lean towards team shoes is the clean looking colorways. Unlike signature sneakers which need to pack in design elements and iconography from the athletes, team sneakers let the colors do the talking. Players can choose solid colors like black, white, red or blue to compliment their team uniforms. That doesn’t mean the sneaker can’t look cool. Check out the special color ways for signature adidas athletes like Brandon Ingram or Candace Parker. The adidas Pro Bounce is available in all the adidas and Titan outlets. You can also check out these storesc websites to grab them online.